Free Panic! at the Disco Concert in Boston on September 17, 2015! On Thursday, September 17, 2015, Panic! 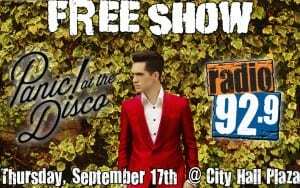 at the Disco will be playing a free concert at City Hall Plaza in Boston thanks to Radio 92.9! The free show will start at 5pm with DJ Petro kicking it off. 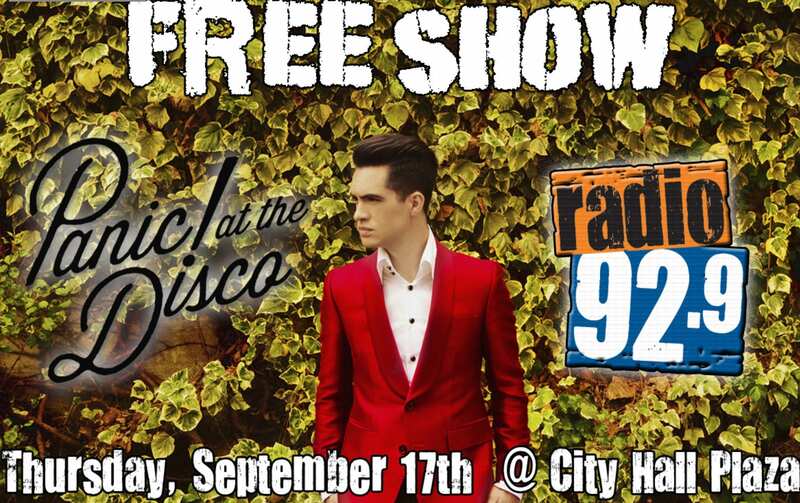 Will you be attending this free Panic! at the Disco concert in Boston?